Orlando, FL, USA – Christie, the integrated visual systems leader, is showcasing its wealth of knowledge and trusted technology at InfoComm 2015, taking place June 17-19 at the Orange County Convention Center in Orlando, Florida. Offering the widest range of visual display solutions in the industry, Christie combines the highest quality with the lowest cost of ownership to deliver extraordinary shared experiences. Booth visitors will immediately notice three focal points – Christie Boxer, Christie Velvet LED and the combined strength of Christie Spyder andPandoras Box as integrated processing and control solutions for multi-markets. In total, nine technology zones will highlight how the Christie systems solutions approach lets customers imagine, create and share. Several new solutions will be displayed, including the launch of the new Christie AutoStack 4.0 and Christie AutoStack Premium. Christie is the only manufacturer combining warping and blending with camera-based software that auto-calibrates multiple projectors in less than two minutes per projector and, unlike similar systems, Christie AutoStack and AutoStack Premium are integrated custom-designed solutions that include software, camera and lens. The booth features the undisputed performance of the award winning Christie Boxer 4K30. In a clock tower mapping presentation using front and rear projection, Christie Boxer will demonstrate its unique omnidirectional capabilities and show how it turns the ordinary into the extraordinary. 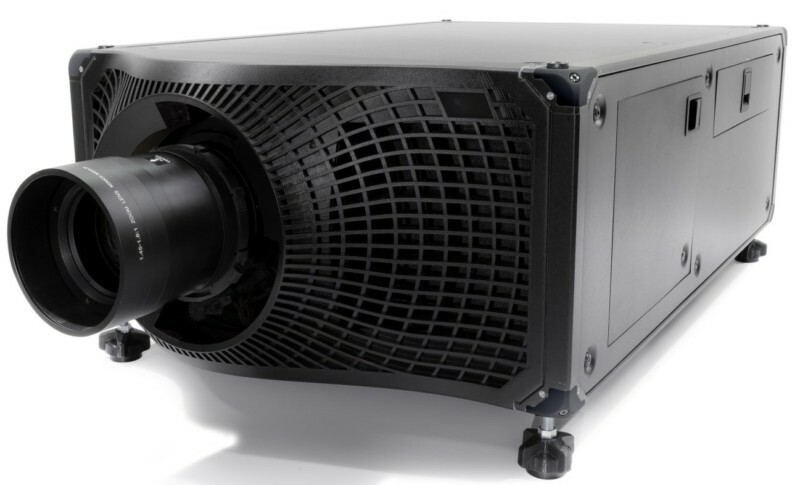 Packing a powerful punch in a small package, Christie Boxer is a global hit and sets a new paradigm for rental staging projectors. In visual display applications, the physical size of the pixels used in LED tiles directly affects the image quality as does using the perfect pixel pitch and, at InfoComm, Christie is showing 1.5, 1.9, 2.5, 3.0 and 4.0-millimeter pixel pitches in a single display where viewers will see the Christie advantage. The LED gallery will also feature a new 1.6-millimeter pixel pitch presentation. Christie Velvet LED technology features extremely tight pixel pitches combined with larger diodes to create a high fill factor and clearer visuals. 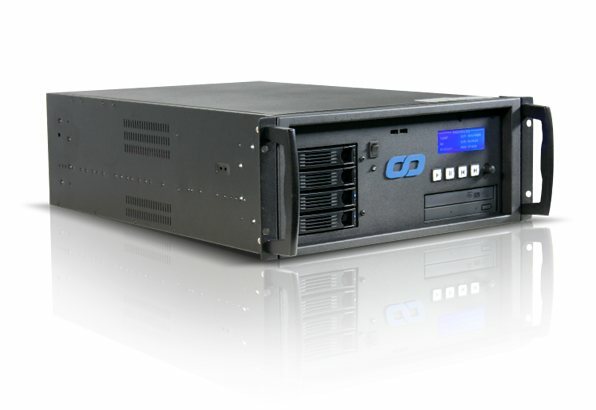 Christie is also demonstrating the unmatched combination of Christie Spyder and Pandoras Box as an integrated processing and control solution suitable for numerous applications in both fixed and rental staging. Christie’s advanced pixel processing, combined with advanced rendering technology and intuitive production-workflow capability, simplifies projection mapping and delivers creative and compelling large-scale, multimedia experiences. Installed in state-of the-art facilities around the world, Christie’s control room solutions serve a crucial role, monitoring and managing mission-critical operations and assets in today’s complex world. Christie Phoenix now supports 1920 by 1200 resolution sources and offers two primary tools – PTZ Control and IP Camera detection – for interfacing with ONVIF-compliant IP cameras. Christie continues its 1DLP laser phosphor development and, for the first time, booth visitors will see a preview of the 1DLP laser phosphor Christie Captiva: the 4000 lumen Ultra Short Throw lens projector that delivers ultra-wide images from very short distances. The gallery also includes Christie GS Series, Christie H Series, and Christie 3LCD projectors. Continuing to expand its LCD panel offerings, Christie is introducing its new 46-inch ultra-narrow-bezel flat panel. The LCD gallery also includes a showcase of 55-inch, 65-inch and 84-inch Quad HD panels featuring interactive touch technology, and showing for the first time, a 98-inch LCD panel. Installed at West Florida University and elsewhere, and showing at InfoComm, is Christie Brio. The presentation system allows users to virtually meet, share information and collaborate effortlessly, overcome geographical distances, and eliminate the challenges of single and multi-site workplace meetings. 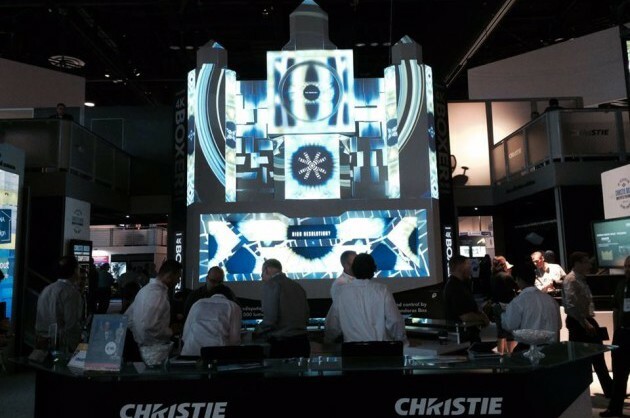 Visitors to Christie’s booth can also experience groundbreaking, real-time automated projection mapping software. Christie is pleased to work with its many partners and, at InfoComm, Theatrical Concepts, Da-Lite, Stewart Filmscreen, rp Visuals, DNP, InfiTec, andGoo Systems will use Christie technology to showcase their offerings.